PLEASE NOTE .......once your payment clears the PDF file will be available for download here on Etsy, no need for emails. After you confirm payment and come back to etsy and then hit place order the next page will have a link to take you directly to your PDF files. Need help with this? Here is link that will give you a step by step on how to download a file after your purchase is complete. The Ankh has long been associated with the Egyptians who presumably created it. Although it's true origins are debated amongst many archaeologists and Egyptology. One thing is for sure, the Egyptians revered the Ankh as a spiritual symbol. Considered to be the symbol of life, immortality and the universe, the Ankh is both a symbol of the Goddess and God heads. The tau, or loop at the top has also been associated as a symbol of spiritual reflection. This could be a result of it's use by Tutankhamen who often used a large hand held Ankh with a mirror positioned in the loop. The loop has a couple of common meanings. It represents the three upper chakras, also known as the spiritual chakras, which are associated with the divine. It represents the Godhead (not just the masculine, but God as an all encompassing divine being). It also represents the female principles or the Goddess, within nature and the divine universe. The staff has a few meanings as well. It is a representation of the masculine God and male principles. The vertical line is a symbol of the lower four chakras also known as the physical chakras. The cross bar represents the division of the male and female aspects of life, and the balance of polarity between the two. An Ankh was made of many different materials, from wood and precious stones, to metals of gold and silver. Many Egyptians and early pagans placed precious stones within the loop of the Ankh to magnify the spiritual properties of the stone. An Ankh with an amethyst in the center for instance, was through to be a powerful tool for enhancing divination. 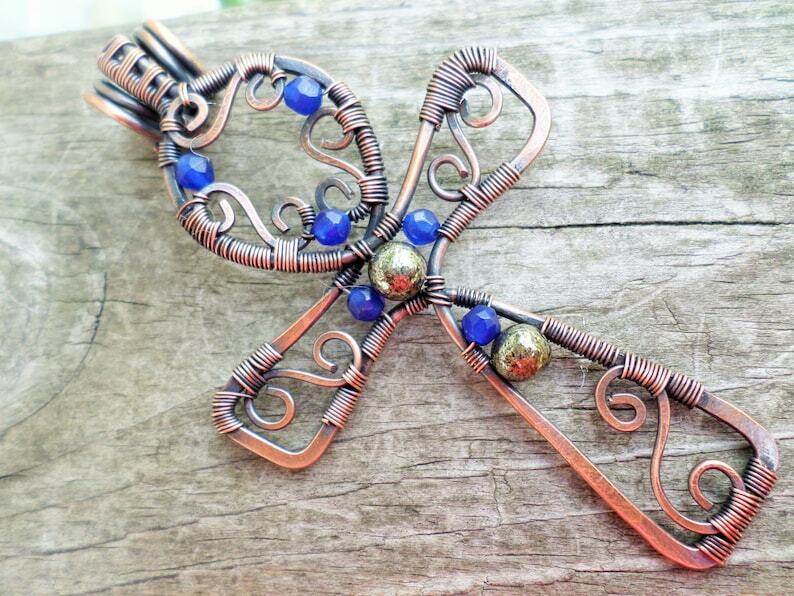 As an amulet, the Ankh is worn for both good luck or fortune and to protect against bad luck or energies. It is seen in Egyptian art as a scepter in the right hand of deities, and as a tool used upon the nostrils of the dead to bring them back to life. The Ankh has long been associated with the Egyptians as a symbol of regeneration. But it also has deep roots as a symbol of magik. In ancient Egypt, the House of Life, symbolized by the Ankh over the door and throughout the interior, was a building, or group of buildings that housed the temple library. These libraries were filled with magical lore, accessible by magicians, priests and laymen alike. One of the largest of these libraries can be found at Karnak along the Nile river. As a magikal tool, the Ankh can be used for healing and to promote psychic communication with the divine. Some Egyptian art depict a priest or priestess placing an Ankh in the middle of their forehead (over the third eye) as a means to connect to the divine God/Goddess for communication. Healers often placed the Ankh over wounds or areas that required attention, to promote regeneration and divine healing. Haven't had time to make this yet but the directions and pictures make it look pretty easy. Thank you for offering this!